Please get in touch if you wish to book up a Workshop for yourself or as a gift this year, I'd love to hear from you. 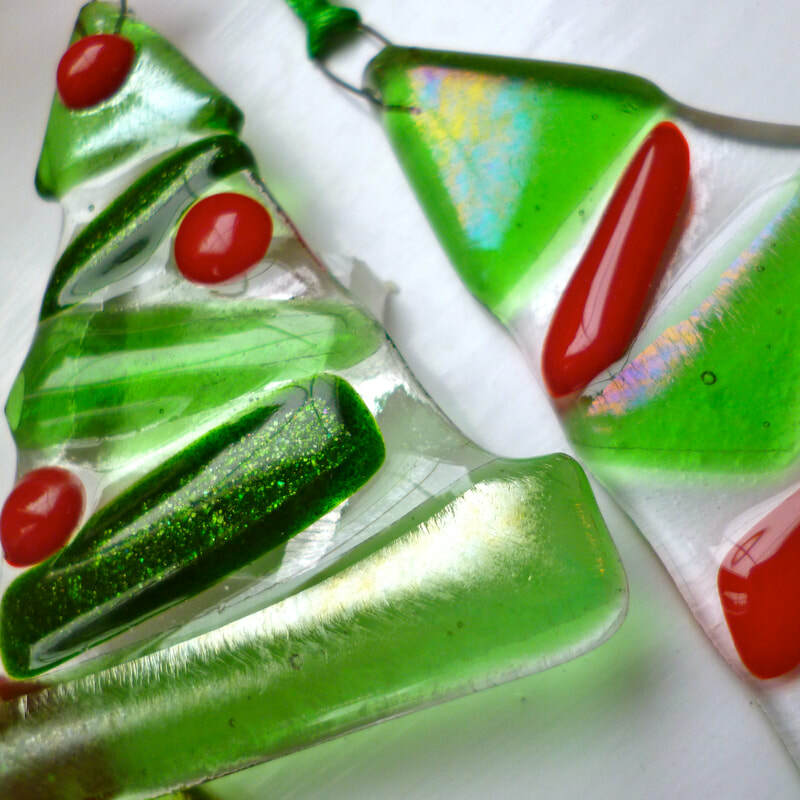 CHRISTMAS GLASS FUSING My 'Fusing For Christmas' workshops have proved very popular for small groups to come and spend a morning in my studio creating unique Christmas decorations. Working with glass is an amazing experience! 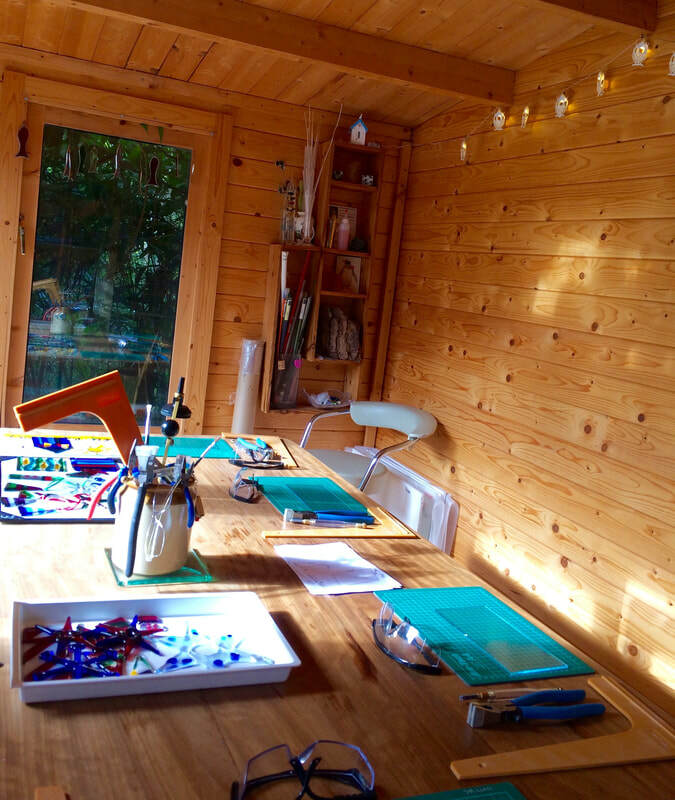 I run small workshops for 2-4 people in my own studio near Guildford and Woking in Surrey. 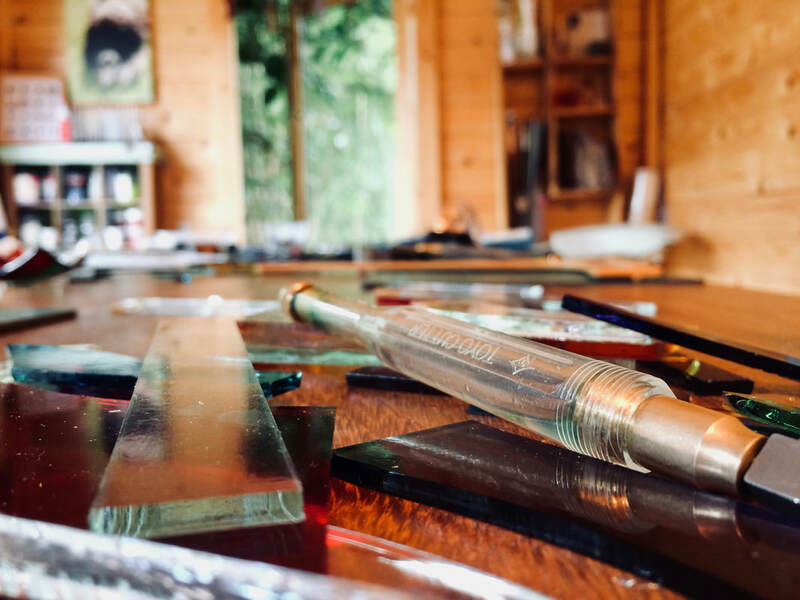 Beginners and improvers welcome, you will be taught to gain confidence in cutting and assembling glass, the use of inclusions to enhance different effects within glass. Firing will be done in my kiln at my studio near Guildford and your work will be ready to collect, by arrangement, in a few days. Cost for a Saturday 10 am -12.30 pm workshop is £60 per person which includes all tuition, materials and firing costs. 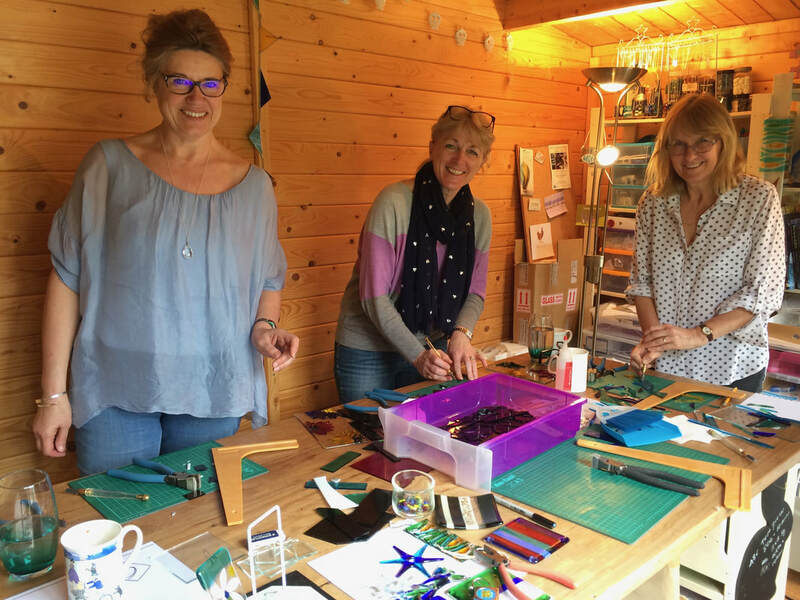 Workshops incorporate tuition on basic cutting skills for sheet glass, how to assemble and fire glass to create a variety of effects, the use of colour, frits and inclusions and how to pack a kiln ready for firing. All materials, tools and firing costs are included in the price of the workshop. to arrange your workshop. . .
my planned workshops are listed below and I occasionally have other dates available too. "Thank you for BRILLIANT morning. We had such a great time and can't wait to see the results. Fiona's instructions are clear and she made us feel so welcome. The starter project was great to help us learn some techniques then it was fantastic to just let our imaginations run wild, with Fiona making our visions become reality. We will definitely be back for more!" 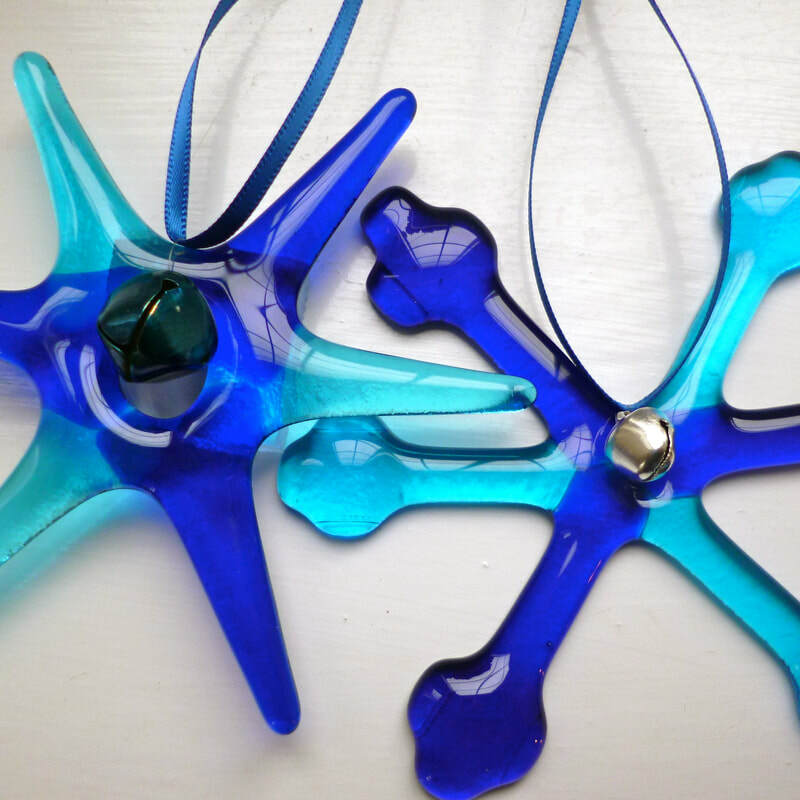 "After looking at a lot of glass workshops on the internet, I finally decided on Fiona's and I'm really glad I did. My friend and I learnt to make coasters and glass fish ornaments under Fiona's expert and very encouraging tuition. I loved every minute of it! The setting was beautiful - a lovely studio in their beautiful garden - and Fiona and her husband couldn't have been more accommodating. 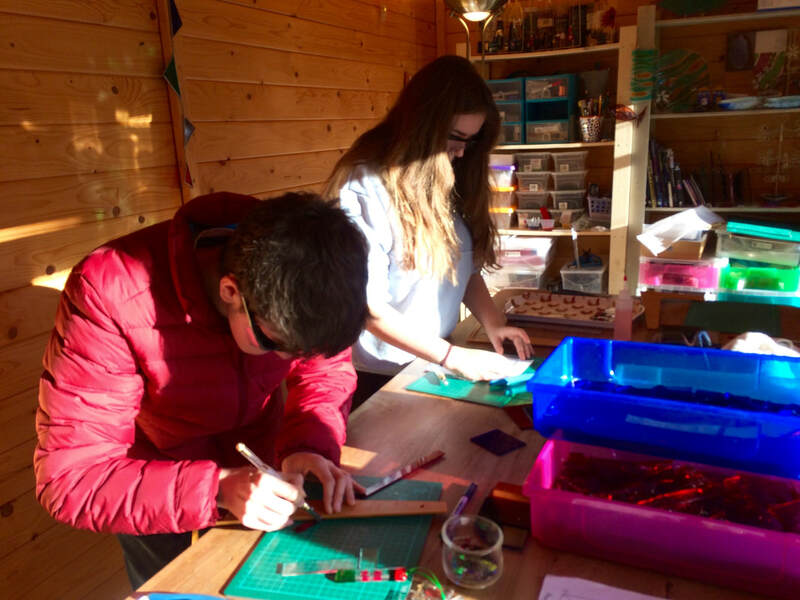 Such a wonderful, creative way to spend a morning; we're already talking about going back to make Christmas decorations! I cannot recommend this workshop highly enough." "We really, really enjoyed the morning, your instructions were clear and easy to follow, and you were so encouraging. We can't wait to do some more. . . Thank you again for a great learning experience!" "I thought you'd organised the workshop immaculately. The tools were good quality and you supplied everything we needed. The instructions were clear and concise. You gave us a good balance of confidence when cutting glass and health and safety awareness. The level for adult beginners was pitched just right, without too much technical information. You gave us an interesting starter project, but also alternative options and ideas. I love the way you wrapped and packaged our works of art. I've been on. Thank you!" Examples of work from recent beginners workshops. . . In this workshop you will be taught how to cut and assemble a variety of Christmas Decorations ready to enhance your tree! 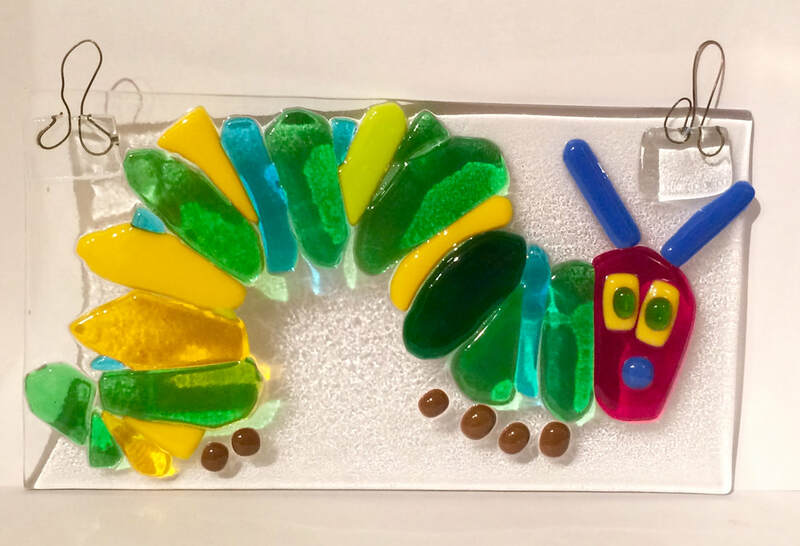 Spring projects have included making sun catchers with flowers, hearts and butterflies! 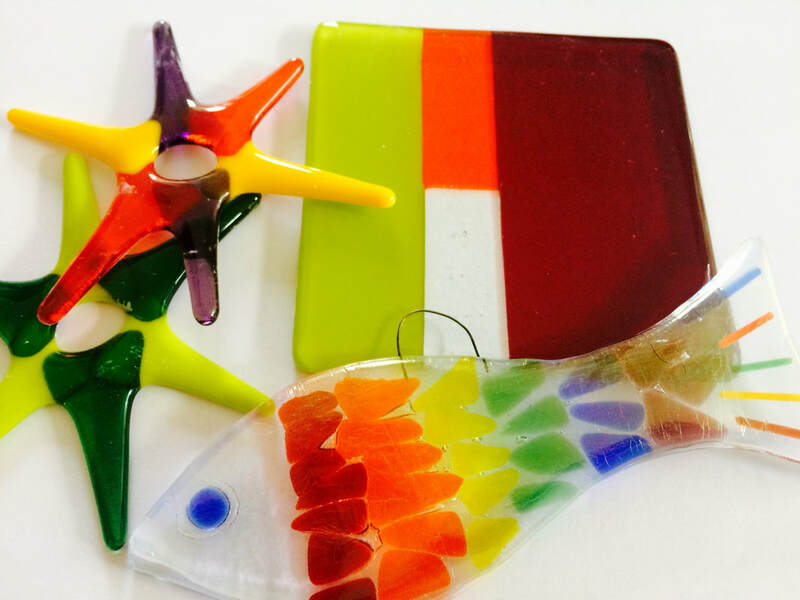 Fishes and Seaside themes form part of the Summer Fusing Workshop!